Libya is in chaos and Mr Abdelbaset Al-Megrahi, the man convicted of murder in connection with the Lockerbie bombing, cannot be found. Politicians here and in the USA are calling for him to be extradited or sent back to prison. Newsnight Scotland decided it would be useful to debate the issue with the assistance of two QCs, Gordon Jackson and Geoffrey Robertson. After a brief report including Nick Clegg saying that he would prefer Mr Al-Megrahi to be back in prison, the 24th August edition went back to the studio for the discussion. Mr Robertson took the lead. What followed did a disservice to the viewers, and makes one wonder how Newsnight Scotland chose its guests (or one of them at least). 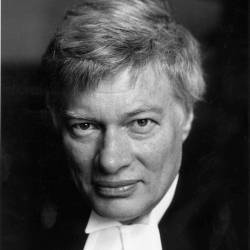 Geoffrey Robertson QC is one of the most eminent and well known lawyers in Britain. The catalogue of famous and ground-breaking cases in which he has been involved is long and his reputation is rightly illustrious. He is also a man who has been willing to serve, having been one of the judges in the UN Special Court for Sierra Leone for some years and a Distinguished Jurist Member of the United Nations Internal Justice Council since 2008. He is a prolific author, and his The Tyrannicide Brief, about John Cooke, the lawyer who prosecuted King Charles I, is a masterful book, emphasising the rule of law, and the fact that even monarchs and rulers are bound to follow the law. I would heartily recommend that book to any reader, lawyer and non-lawyer alike. One might think that having such a distinguished legal mind available to take part in the debate was a chance not to be missed. There was only one problem. Mr Robertson’s list of countries and courts where he has acted does not include Scotland. As far as I am aware, Mr Robertson, not being a member of the Scottish Bar, has never appeared in our courts. As a very wise and clever man, I am sure he is more than capable of understanding points of Scots Law, but this Newsnight appearance did not demonstrate that. Why did Newsnight Scotland feel that, other than Gordon Jackson QC, there were no other lawyers practising in Scotland worth having on? Perhaps the answer is that they could not find any Scots lawyers to disagree with the position adopted, correctly I believe, by Mr Jackson. Perhaps the chance to have such a famous name as Mr Robertson on meant that Newsnight did not ask any other Scots lawyers. Was this a decision by Newsnight that there required to be “balance” even if that meant balancing the wrong view with the right view? The Lallands Peat Worrier had done the hard work of writing about the legislation dealing with the question of compassionate release, and what the rules were governing any possible recall to prison. I commend his post to all readers. 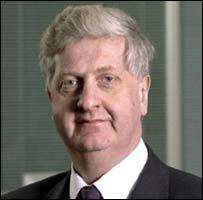 He made clear that, in terms of the Prisoners and Criminal Proceedings (Scotland) Act 1993, Mr Al-Megrahi could only be recalled to prison under s17(a) if either of the following took place: (i) if the Parole Board recommended that the Justice Secretary recall him; or (ii) if the Justice Secretary decided that it was expedient in the public interest to revoke the licence and recall him to prison and it was not practicable for the Justice Secretary to await a Parole Board recommendation. Mr Robertson did not trouble himself to make reference to these rules and he launched himself into the fray, with almost everything he said being incorrect in some way. My thoughts on Mr Robertson’s comments are in italics below. First of all, despite it being a discussion about Mr Al-Megrahi, Mr Robertson started with Colonel Gaddafi, stating that there was “increased evidence” to show that the Libyan leader (or former leader, depending on when this is read) “gave orders to Mr Al-Megrahi to blow up the jet”. He later stated that the former Libyan Justice Minister had stated that he had proof of this. Professor Black, on his Lockerbie Case Blog, noted that this proof, whist promised, had still to emerge. He commented that Mr Al-Megrahi had had a fair trial “before eight judges”. Many observers and commentators do not accept that the outcome of the trial was fair at all. Whilst the issue of Mr Al-Megrahi’s guilt or innocence is not relevant, legally, to any question of recall (in law he is a convicted murderer the matter of his involvement remains at issue, as the Justice Form Megrahi campaign pursues its quest for a full inquiry into the atrocity. The trial of course was before three judges with a further five hearing the appeal. There were a number of areas not explored at the trial or appeal, which are, apparently, identified by the as yet unpublished report by the Scottish Criminal Cases Review Commission. He felt that “the country” should fulfil the promise made by Robin Cook, when Foreign Secretary, to Madeleine Allbright, who was the US Secretary of State, that Mr Al-Megrahi would serve 27 years in prison. If Mr Cook did make such a promise, then he had no authority to do so. The matter of Mr Al-Megrahi’s release was one for the Scottish Courts, in connection with his appeal and the Crown appeal that the sentence was too lenient, or for the Scottish Ministers, not the UK Foreign Secretary. In any event, the reason for Mr Al-Megrahi’s release was his ill health and imminent death, not any assessment that he had tholed his assize. He referred to the “extraordinary behaviour” of the Minister (presumably Mr MacAskill) who had been “conned by doctors paid by Libya” into accepting that the prisoner had only three months to live. He said that the doctors had been so wrong in their diagnoses that their findings should be questioned and that there had to be a proper examination by independent doctors. Whilst one of the medical experts who provided comment upon Mr Al-Megrahi’s condition was an expert engaged on Libya’s behalf (and in a situation like this there is nothing wrong with a person hiring their own expert to offer an opinion) Mr MacAskill has always made it clear that the medical advice he considered was that from the Chief Medical Officer of the Scottish Prison Service. The suggestion that doctors “conned” the Justice Secretary is one which seems clearly defamatory, and it would not surprise me if the members of the medical profession involved took the matter further. The implication of what he said was that Mr Al-Megrahi was either not terminally ill at all, or if he was, that his prognosis was far longer than three months .In either event, this is a serious allegation to make, and I suspect one that the learned gentleman had not thought through. His comments amounted to a suggestion that the medical experts deployed for the Libyan had produced reports not based upon their medical expertise, but instead influenced by their paymaster. “Independent” doctors have already determined the position of Mr Al-Megrahi. The fact that a change of location in returning to his homeland and family, and an apparent new treatment regimen has extended his life beyond what was predicted is not, in my view, a cause for re-incarceration, and indeed the legislation does not see it as such when dealing with a “long-term prisoner”. He pointed out, with reference to Mr Al-Megrahi’s recent appearance at a pro-Gaddafi rally, that if he was demonstrating in favour of his leader when he was on probation, that was wrong. The Scottish Ministers have helpfully made a copy of Mr Al-Megrahi’s licence available to all. As Mr Jackson pointed out, there is nothing there which precludes an appearance at a rally, and, as Mr Jackson went on to say, how likely was it that Mr Al-Megrahi could have refused to attend if told to by Colonel Gaddafi. Mr Robertson then referred to the application in 2009 made by Mr Al-Megrahi’s lawyers for bail due to his ill-health, which was refused by the High Court who, according to Mr Robertson, said that if Mr Al-Megrahi was sufficiently unwell, he should go to a “bail hostel” in Scotland. This was on the premise that his appeal was continuing and was not connected to the matter of compassionate release from his sentence. Whilst the compassionate release granted could have required Mr Al-Megrahi, as a condition of his licence, to reside in Scotland, the medical evidence specifically referred to the benefits for him in returning home. He then returned to Colonel Gaddafi, saying that he expected him to end up strung up from a lamppost, but that if he was captured, there would be an argument about whether Scotland or France would prosecute him first, as each would have the right to seek his transfer from the International Criminal Court in the Hague before the Colonel was tried at the ICC. I would not be surprised if the USA, and various other nations, thought they had grounds for seeking to prosecute him. As the discussion neared the end, he went back to Mr Al-Megrahi, stating that it was “bewildering” that the “Scottish Probation Office” had not recalled Mr Al-Megrahi for breach of his licence, and that there should be legal proceedings taken to force them “to do their duty”. As Mr Jackson had already pointed out (and the initial report by Julie Peacock had said) it did not appear that the licence conditions had been broken, so far. One reason why the “Scottish Probation Office” had taken no action is that such a body does not exist, nor indeed is Mr Al-Megrahi on probation. His situation, having been released, is monitored by East Renfrewshire Council. I would be interested to know who Mr Robertson thinks should be taking this legal action. Perhaps he might care to initiate it himself, if he feels so strongly about it? It was not fair that Mr MacAskill had not met with the relatives of the dead but he had met with Mr Al-Megrahi before reaching the conclusion that the Libyan would be dead within three months. The Justice Secretary did not reach any conclusion about Mr Al-Megrahi’s condition. He relied upon the expert medical witnesses for that purpose, as is right to do. Whilst there have been questions about the release, as Mr Jackson said, that was not what was being talked about now. He concluded by stating that, if Mr Salmond and his Justice Secretary “had any guts, they would re-visit their earlier decision” to release Mr Al-Megrahi. Here again Mr Robertson failed to get the point. There is no scope to “revisit” the decision to release Mr Al-Megrahi. That has happened. Instead the question is whether or not there are conditions satisfying the legal requirements for the licence to be revoked and a recall to prison ordered. As has been said elsewhere, it is not a breach of his licence to fail to die on schedule! Mr Al-Megrahi’s lawyer, Professor Tony Kelly, would undoubtedly act in the best interests of his client by challenging any decision to recall his client, if there was any scope for so doing. As matters stand, no grounds for recall exist, and the demands of American Senators and UK politicians have no place in that decision. In contrast Mr Jackson sat in the studio talking nothing but sense. He seemed to have a rather world-weary air as he listened to Mr Robertson and tried to correct his errors. Mr Jackson pointed out that, in theory, it was possible, if the conditions referred top above were fulfilled, that Mr Al-Megrahi could be recalled to prison, but he saw that as extremely unlikely. It was not going to happen. He told the presenter that the issues of Mr Al-Megrahi’s release two years ago had nothing to do with the question of revocation of his licence now. Perhaps there was a problem with the link to Mr Robertson in London, because he repeatedly sought to talk over Mr Jackson, which is not an easy task to accomplish! There is clearly great public interest in this issue. Mr Al-Megrahi stands convicted of a heinous crime and it appears that there are people looking for him to remove him from Libya. However this debate was not helped by one of the contributors having no knowledge at all, it seemed, of the relevant legal rules applicable to the matter at hand. This could be contrasted with the later appearance on the programme of Lord Foulkes to discuss the differing university tuition fees charged in Scotland depending on the domicile of the student. His Lordship, notwithstanding a distinguished career in the House of Commons, the House of Lords and the Scottish Parliament, is not a lawyer. Legal niceties might understandably escape him. Mr Robertson however does not have that excuse. His failure to acknowledge the “rule of law” in this matter is surprising given his very public stance regarding that doctrine over the years, and the rights people have to protect them from the vagaries or abuses of State power. I suspect John Cooke would not be demanding Mr Al-Megrahi’s return to Scottish imprisonment were he here today. Perhaps next time Newsnight Scotland considers having a lawyer on as a guest, they should ask if the person actually knows about what the topic under discussion is. Spot on. You captured my thoughts almost exactly. You are absolutely right – Newsnight did us all a great disservice by choosing an inappropriate and unknowledgeable guest. Robinson was wrong in agreeing to appear but the real blame sits squarely on the shoulders of the programme’s producers. A very interesting, well-written article.